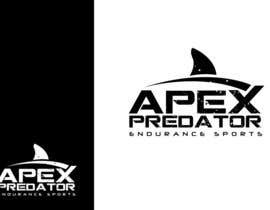 We are a new Endurance Apparel Company called Apex Predator Endurance Sports. We produce running shorts and tops, cycling shorts and tops and triathlon gear. We are woman-owned and would like a new logo for our company. The logo can include the word logo or it can be all graphical. Can we see the winning design? yes please can we see it? please take a look at #197 thanks! Hi, Plz take a look at # 118 and give your valuable feedback. What do you think about entry #115? I'd love to hear some feedback. Thanks! Hi, please check #79 and #80 Thanks! Please try to incorporate a subtle element or illusion of a Great White Shark into the design. The logo should imply aggression and force. Please disregard the request for a vintage look. Can you please upload a few images of your products ? 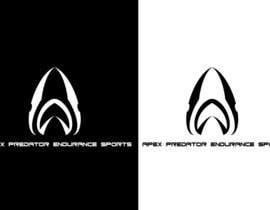 As also, would you like the whole text "Apex Predator Endurance Sports" in the logo if I am designing a text based one ? The entries so far a somewhat generic. If possible, try to develop something more unique. Please check #53, #54 and #55. Thank you. Please make sure you spell Apex correctly. It only has one "P"
Hello sir did you saw my entry do you need any modification in it ? Please make sure that the logo is not designed in such a way that the word APEX looks like "APE". did you get chance to look over #8 and just let me know what you tought ? Please check & feedback. Thanks.